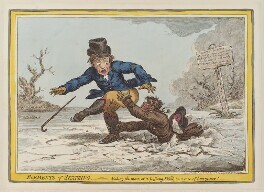 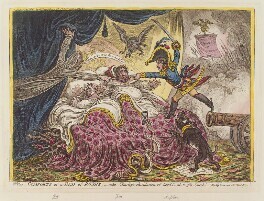 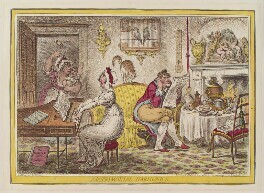 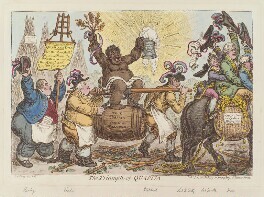 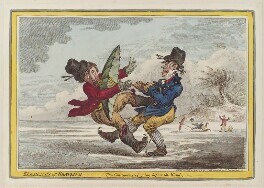 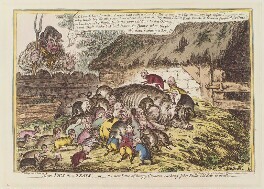 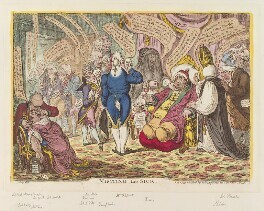 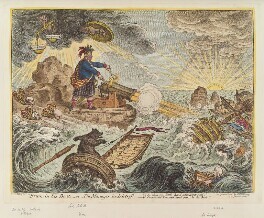 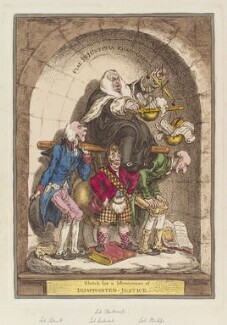 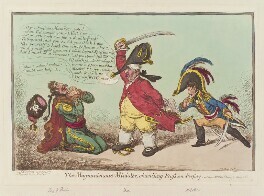 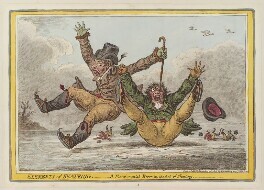 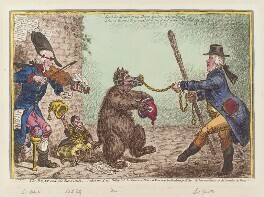 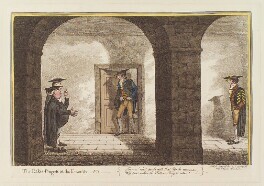 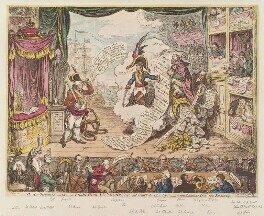 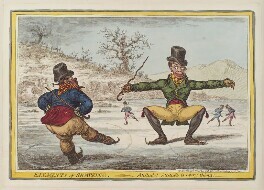 Gillray's relationship with the art establishment was strained. 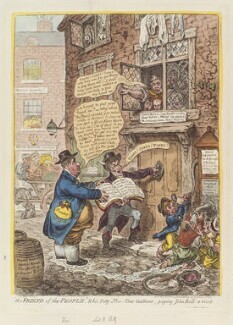 He aimed to make a career in reproductive engraving, but he was rejected by print publishers such as John Boydell. 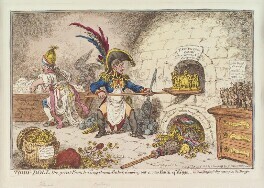 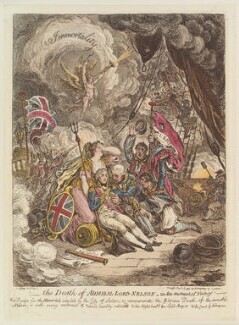 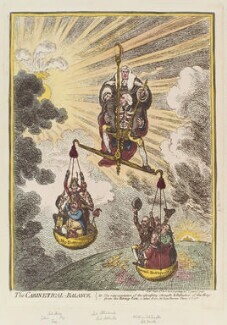 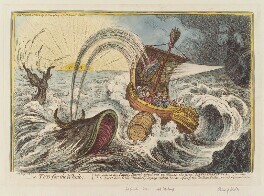 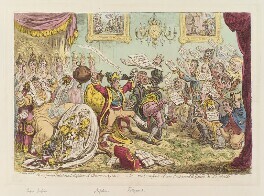 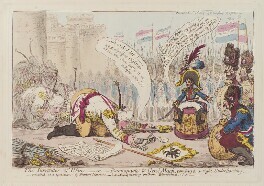 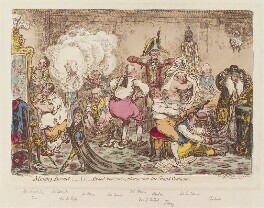 Gillray also resented the lowly status accorded to engravers by the Royal Academy, which did not permit them full membership. 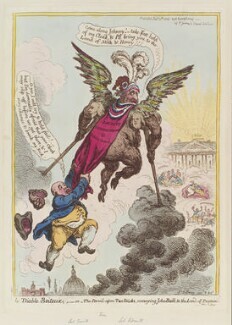 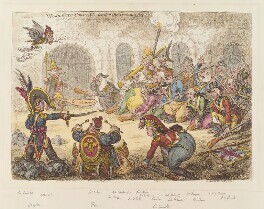 In Shakespeare sacrificed; - or - the offering to avarice (D13069) for example, he attacks both targets: Gillray suggests that greed rather than patriotism lay behind Boydell's establishment of a Shakespeare Gallery, a project to which he had not been invited to contribute; the print also includes a number of digs at the Royal Academy, such as the boy with the palette excluding the boy with an engraver's burin from the charmed circle.